Serve your guests a plate full of good fortune! You will have healthy and beautiful children. Serve bacon at your wedding, and wealth is just around the corner. Bacon is so ridiculously popular right now. 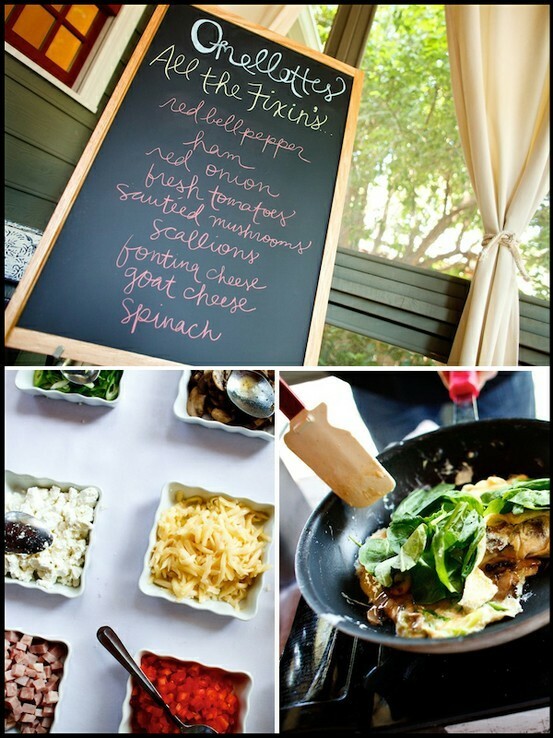 Score big points with your guests by including it in your hors d'oeuvres or menu items. 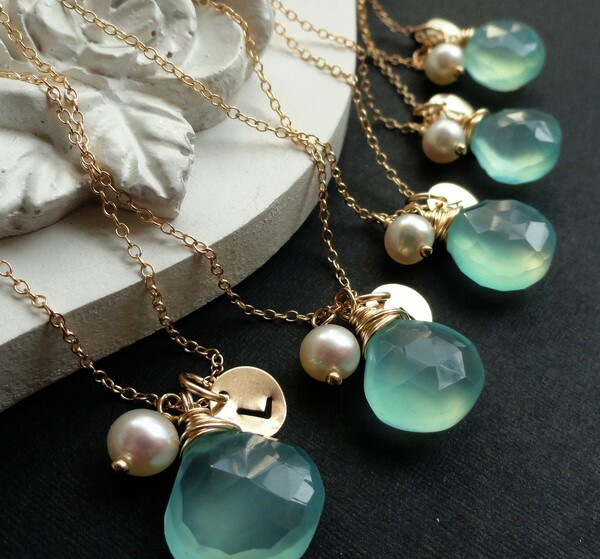 They'll love you forever. 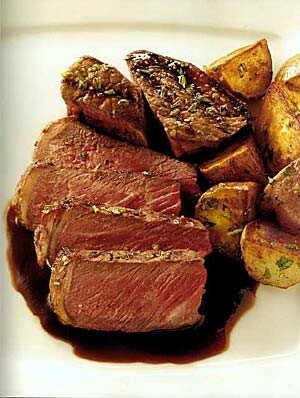 Serve beef cooked medium, and you and your husband will reap success in business. 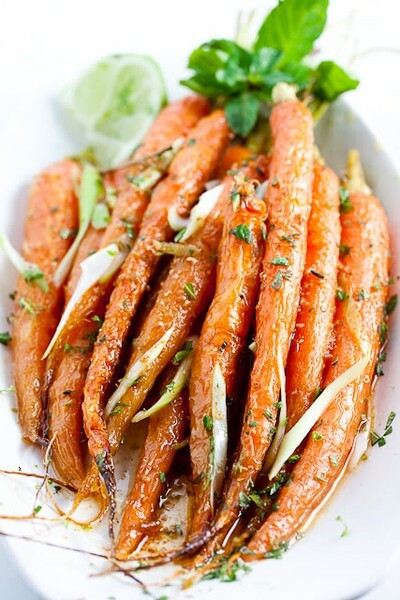 Carrots augur prosperity when cut into round slices, and good health when cut into sticks. Serve them both ways for the greatest benefit! Not only are carrots delicious, but they're beautiful! I love when caterers prepare them this way. It looks like they just came fresh from the ground. 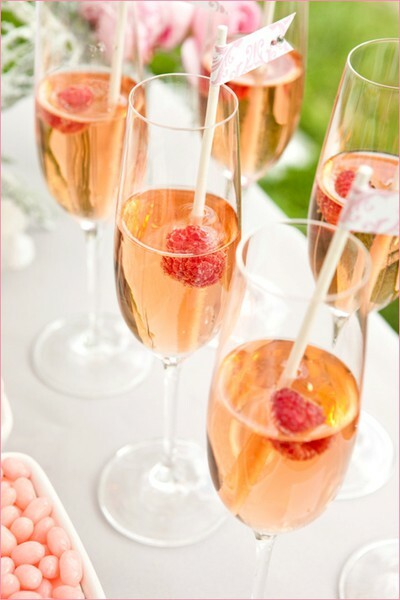 Raise a glass of champagne in a toast and you ensure that your vivacity on the wedding day will not fade. IF you do not imbibe, sparkling water or other fizzy beverages can bring the same effect. My husband hates Champagne, but I adore it! Add some flavor with fresh berries. There's just something about drinking Champagne that makes me feel and look classy. Cheese, especially aged cheese, is a harbinger of lasting romance. 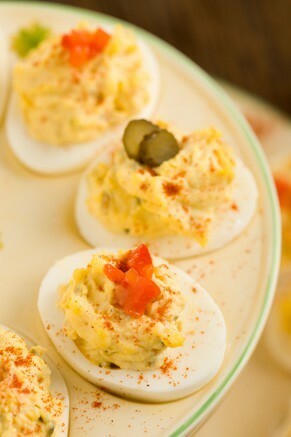 Serve it at your wedding in passed hors d’oeuvres or on an appetizer buffet. 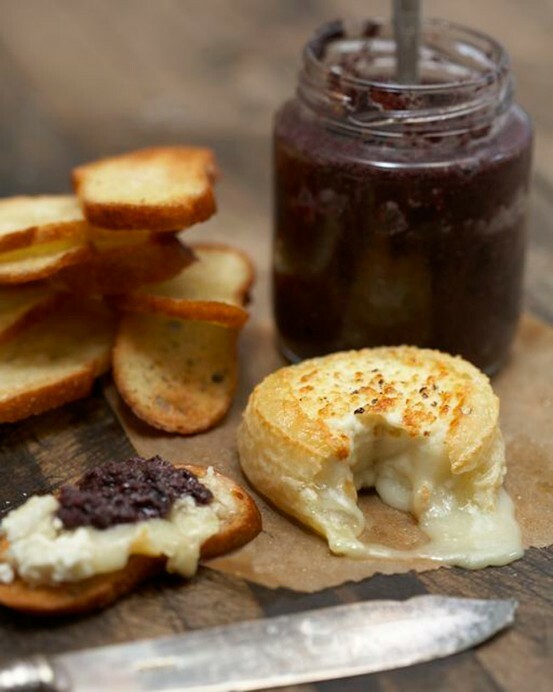 Baked aged goat cheese with olive tapenade. Yum! I would eat cheese and wine all day if I could. 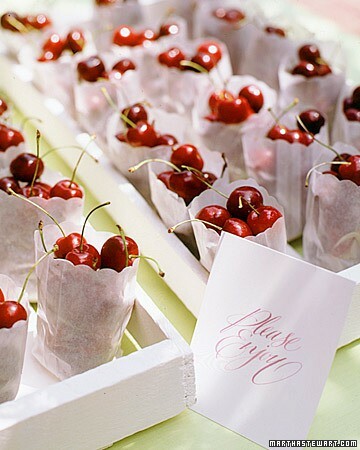 Cherries, both raw and cooked, point to successful love and an easy, happy marriage. 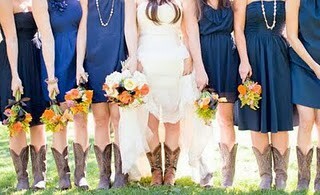 What a great idea for a summer wedding! Who doesn't love to snack on fresh cherries on a hot summer day? Success in work affairs is augured for you. For greatest benefit, choose roast chicken instead of stewed, poached, or boiled. 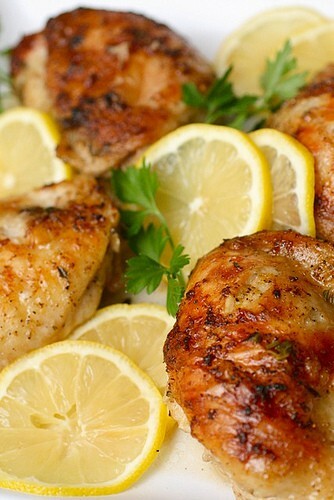 Lemon roasted chicken. You can't go wrong with this combination. 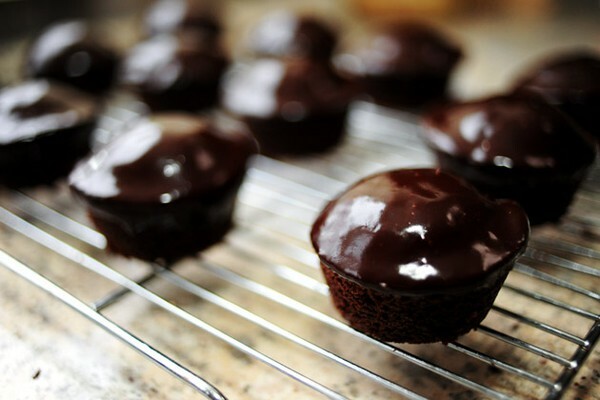 Chocolate at your wedding means you and your husband will always be able to provide for your family. 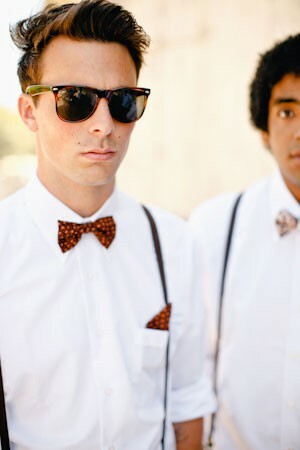 Serve chocolate at my wedding? You wouldn't have to tell me twice! 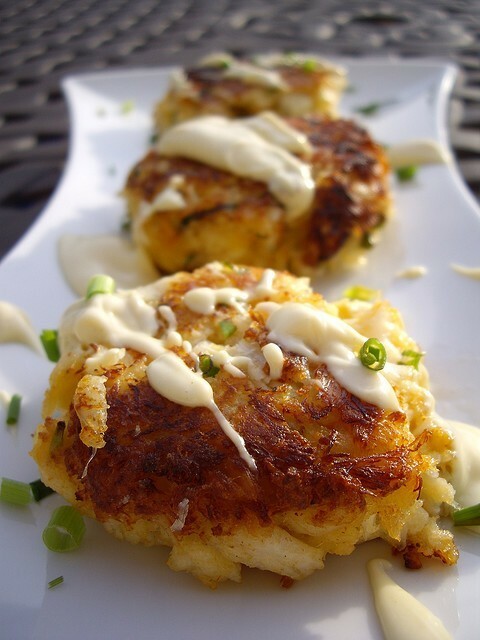 Crab brings good luck, especially when consumed in the winter months. 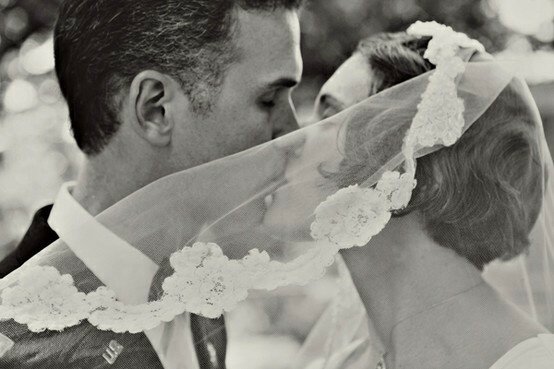 Dates usher in fertility — if you want three or more children, serve them at your wedding. 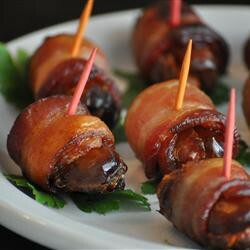 Bacon wrapped Dates: These are amazing! My mother and I had these at a business meeting in Newport Beach, CA about 5 years ago, and we still talk about them. These are a must! Eggs bring good fortune of all kind. 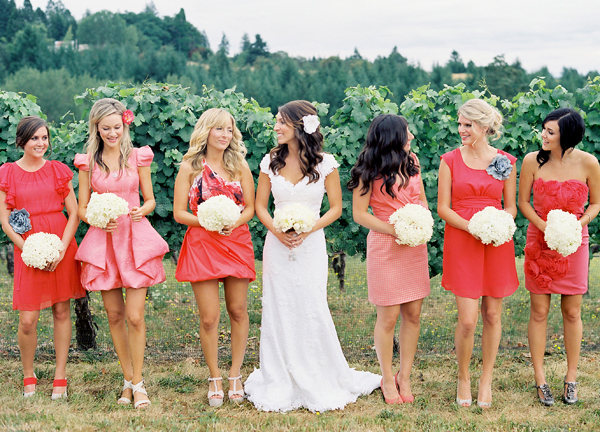 Fruit at a wedding, especially very ripe fruit, is a sign of good health for years to come. 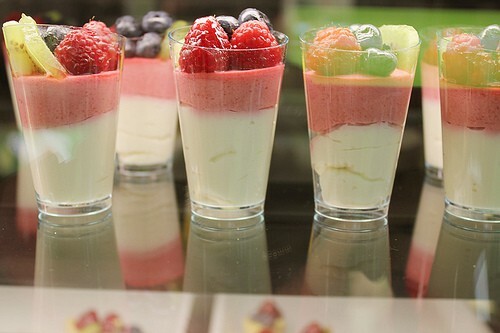 Fruit Parfaits! 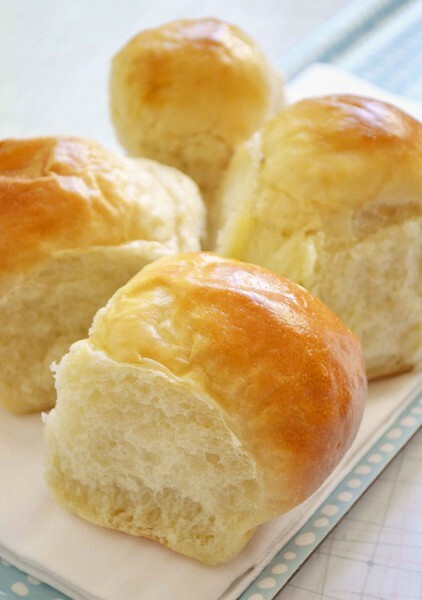 Easy to prepare, pretty inexpensive, and also great for an outdoor summer wedding. 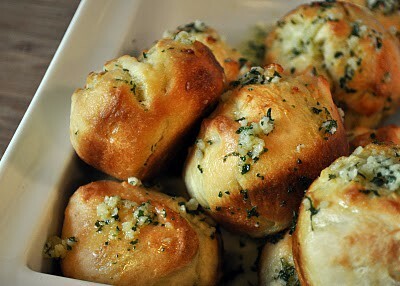 Include garlic in wedding dishes, and you and your loved ones will receive protection from harm. "You and your loved ones will receive protection from harm" - Translation: If you serve this, Vampires definitely won't crash your wedding! Grapefruit chases away bitterness and evil. 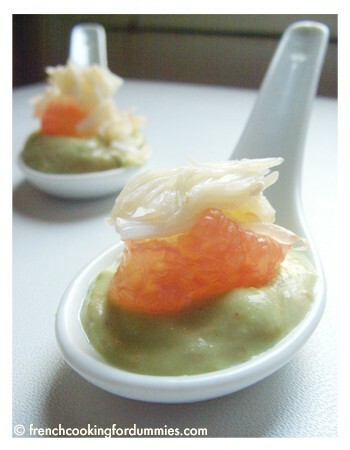 Grapefruit Crap Avocado appetizer. 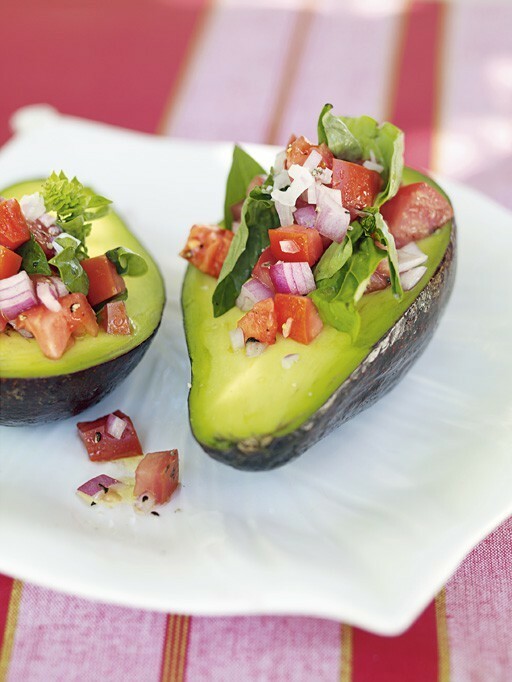 Great way to combine three fortuitous foods! Honey forecasts health, wealth, and a sweet life. Ice cream is particularly fortuitous: Eaten at a wedding, it will bring abundance, happiness, and many children. This is such an awesome idea! 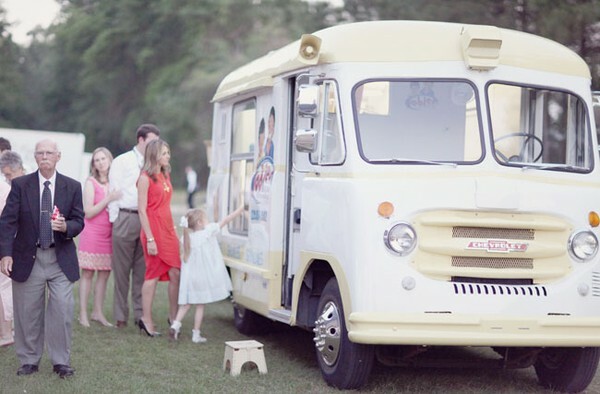 Rent a vintage ice cream truck stocked with ice cream and pull it up at the venue. Delicious, unique and great photo op potential! Serving green lettuce at a wedding forecasts a period of great enjoyment after a minor embarrassment has been resolved. You could serve a delicious plated salad, but how cool is this? 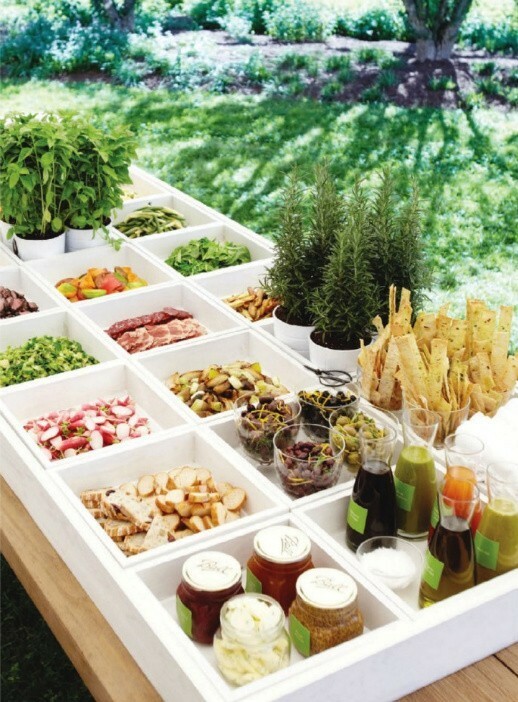 Create a salad bar at your reception with tons of delicious, fresh options. There are so many cute ways you could display the choices, too. Get creative! 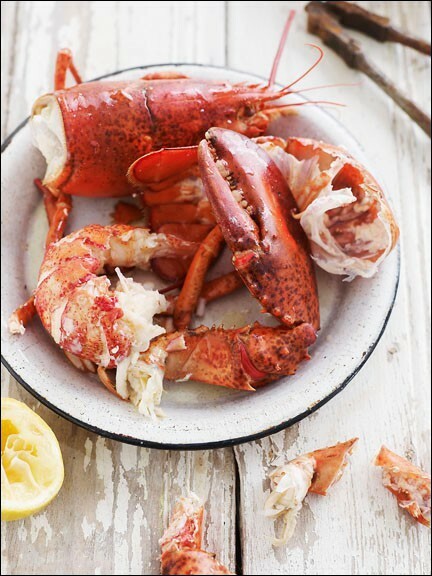 Serve Lobster at your wedding dinner and you will have a fulfilled and joyful life. But be careful to serve the lobster whole rather than in pieces — a whole lobster symbolizes completeness in your relationship. 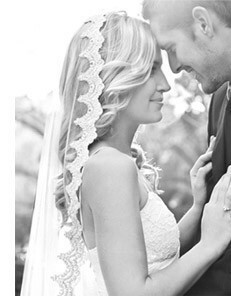 Serving Lobster at your wedding is going to be extremely expensive; Especially a whole one. 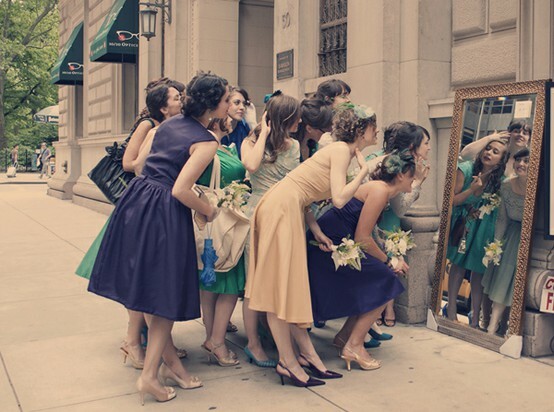 However, let's say you have a small wedding of 30 or so guests on the beach with umbrellas and a fish market sort of theme...this could definitely work! Makes me want to be in Dana Point! Yum! 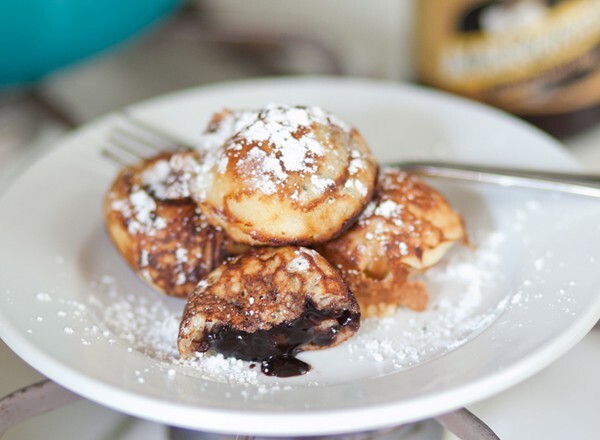 If you're going to use Mint, I highly recommend Fried Nutella! My husband and I make this all the time. It's out of this world! 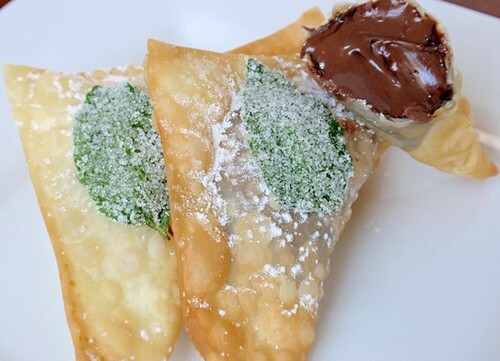 Fry the nutella in wonton wrappers, sprinkle powdered sugar on them, then dip a whole mint leaf in sugar and place on top. The word "wonton" means "swallowing a cloud", which is very appropriate because these tasty morsels melt in your mouth. Your guests will go crazy! 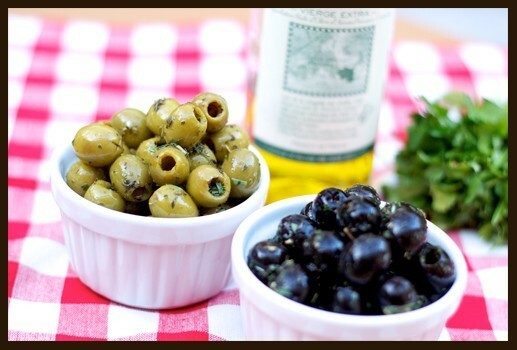 Serve olives at your wedding, and decorate tables with the leaves and branches of the olive tree, and your marriage will be a peaceful one. Omelettes are harbingers of fertility. Eat them on your honeymoon, and leave the rest up to fate! I know what you're thinking: Omelettes at a wedding!? But this could be just the edge you're looking for. How great would it be to have an omelette chef at your reception to prepare a midnight snack for your guests? Pancakes will draw new friends to you. Same goes for Pancakes. 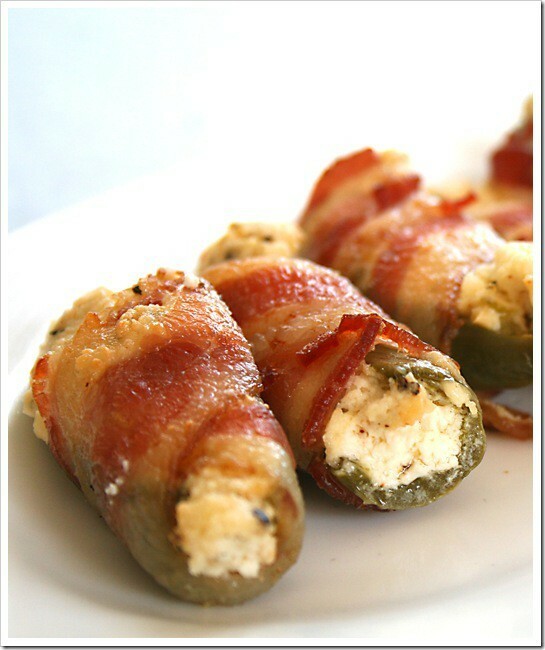 I'm thinking a late night snack for all of your late night party guests. It will also be a great way to help them sober up before it's time to go! 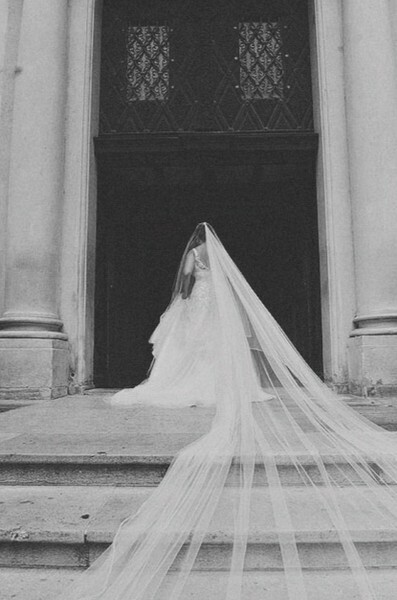 Look at you being a thoughtful bride! 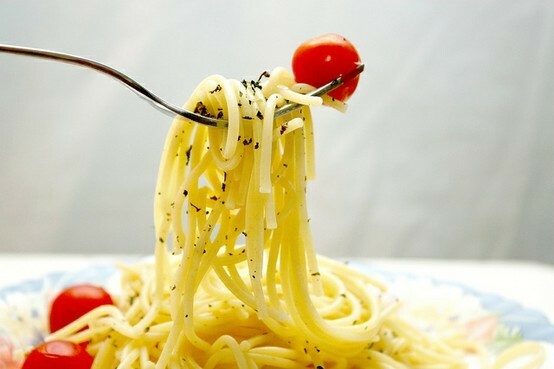 Pasta at a wedding reception (especially long, thin noodles) means longevity for you and your mate. 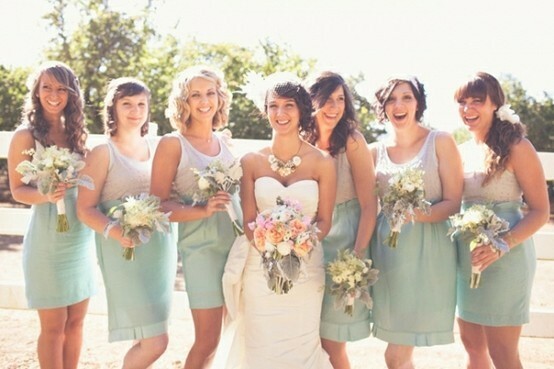 Eat pineapple at your wedding, and you and your husband will be well regarded in your social circles. Well incorporating bacon into your menu won't be an issue, considering you can wrap everything in it. 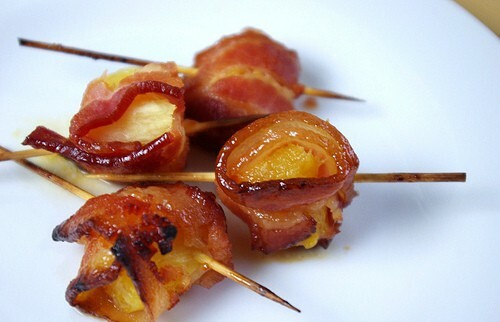 Bacon drenched in brown sugar wrapped around pineapple. Sounds amazing! 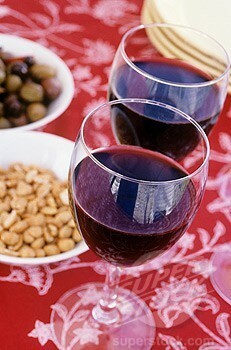 Red wine stands for the love shared between close friends. 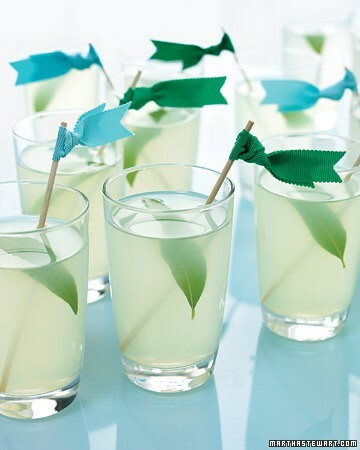 Serve it at your wedding and ensure a life full of happy hours whiled away with companions. 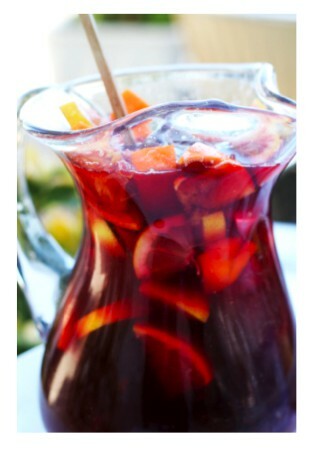 If you're thinking red wine is too formal for your occasion, try a red wine sangria! It's fun, fruity and cuban! 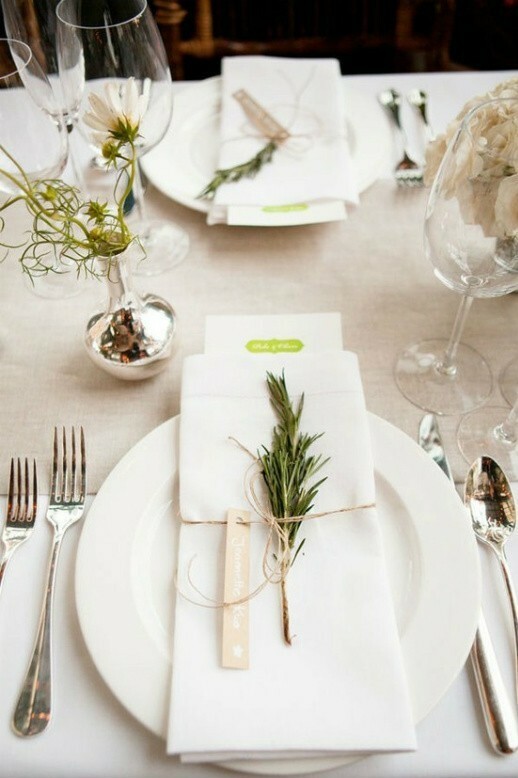 You and your husband always will be faithful to each other, and will beget many children, if you partake of rosemary at your wedding. 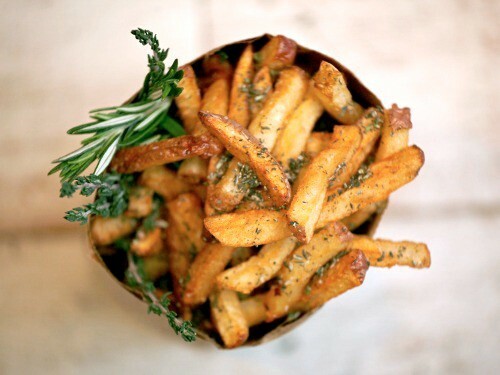 Rosemary seasoned fries. This is torture! What a great way to use Rosemary. 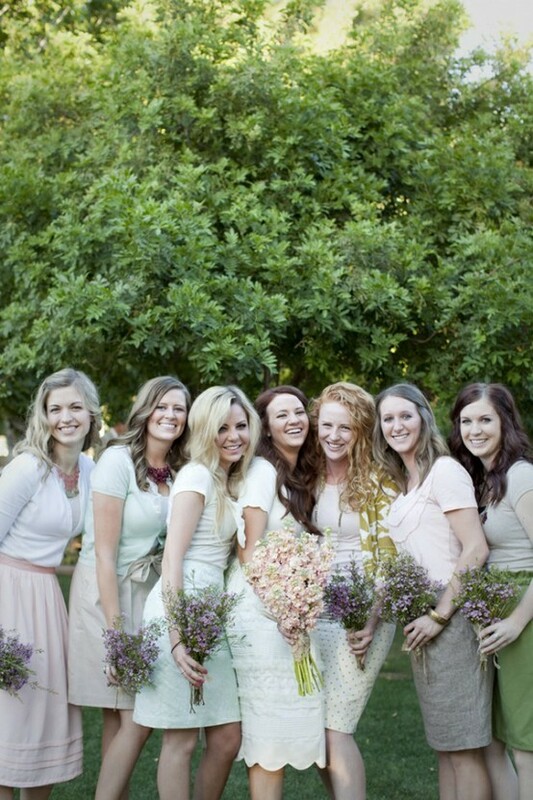 Go a step further and plant a whole bunch before your wedding (if you don't want to buy it), bundle it and package it with a little note telling your guests what good fortune it will bring them. 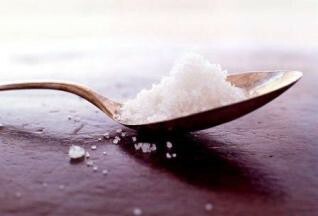 Salt brings forth wealth. It is especially auspicious when paired with bread. Obviously there's going to be some salt in just about everything you serve, so you're good there. 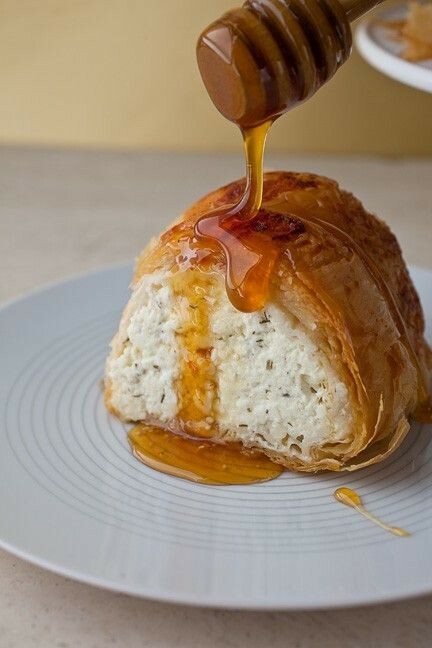 Maybe try a salted caramel dessert as well, since it's so popular right now. 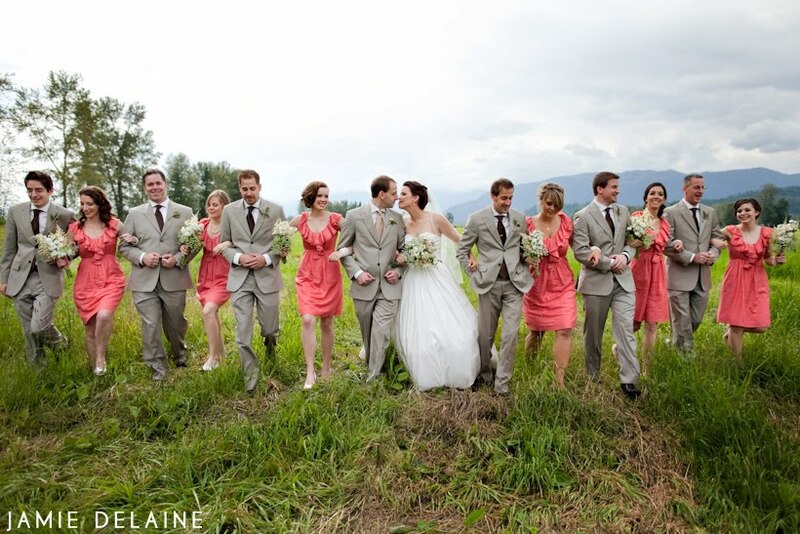 Tomatoes at your wedding, especially in cooked dishes, mean you will travel far and wide during your marriage. There are so many ways to use tomatoes, but this recipe comes highly recommended by yours truly. I made this tomato dip for a dinner party and my guests went crazy. 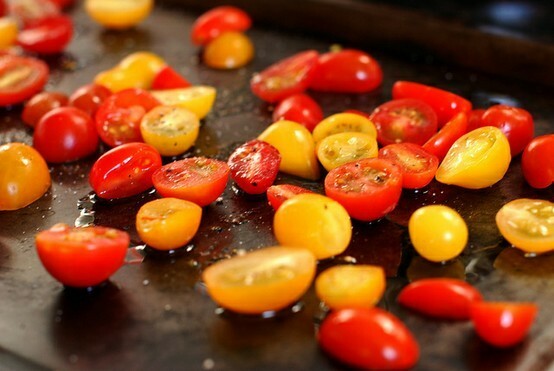 Cut several cherry tomatoes in half and lay them out on a cookie sheet. Drizzle olive oil on top, sprinkle salt, pepper, garlic powder, and whatever other herbs you'd like. Then drizzle balsamic vinegar all over it. Bake it in the oven on 350 degrees until it starts to get mushy. Pour the tomatoes along with all the juices into a bowl and spoon on top of french bread. This tomato concoction will not only ensure travel in your future, but will send your guests traveling back for seconds! Walnuts forecast prolific joy in your life together. If you serve them unshelled, and have guests open them with nutcrackers, joy will be theirs as well. 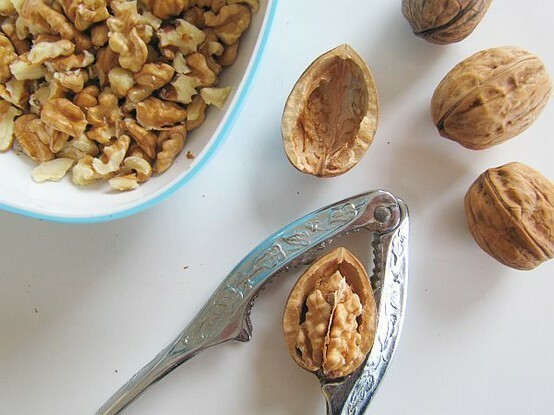 If you're having a sort of earthy themed wedding or one close to the holidays, place a single unshelled walnut on every guest's place setting. Along with it, place a nutcracker. Tie a note around it telling them what fortune walnuts will bring you, and then they can take home the nutcracker as a gift. Maybe even get your monogram engraved in it. Just don't tell your guests that this fortune goes straight to their hips! It's one night...a little bread and butter won't kill them, right? 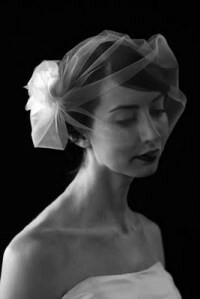 -From my “Fortune-Telling Book for Brides” book. Hope this gave you lots of great ideas and inspiration! Happy Planning. 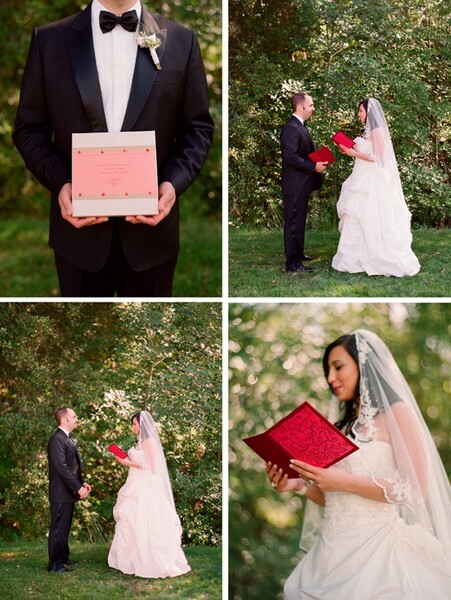 The first impression that guests will receive of your wedding will come from the invitation. 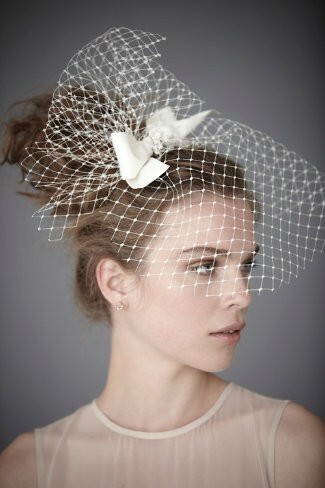 Therefore, you’ll want this important piece of stationery to reflect the tone and style of your wedding. 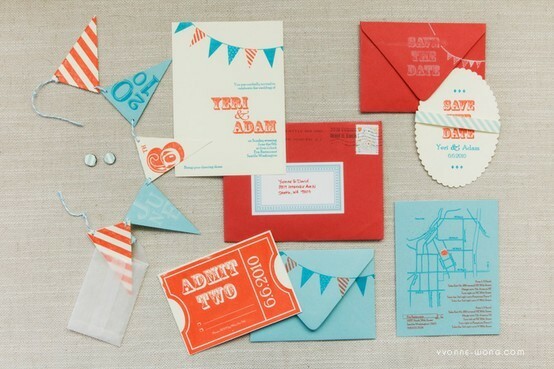 Here are some quick tips for selecting and sending your invitations. 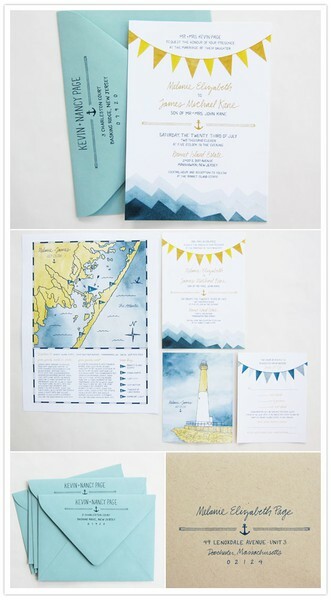 -Invitations can be traditional, contemporary, or a personal and creative expression of a couple’s style. 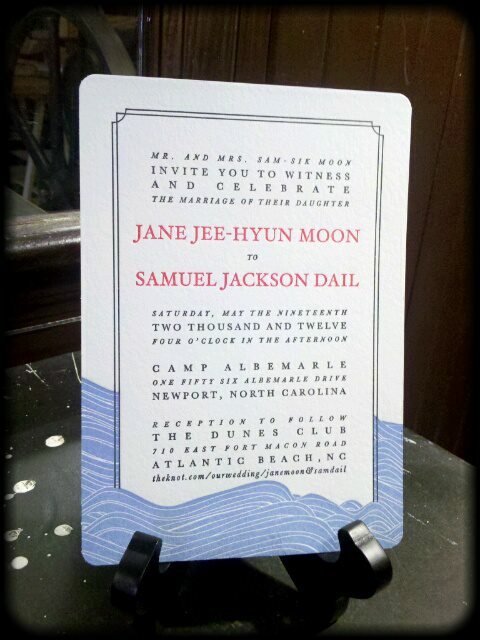 The most traditional form is a folded invitation made of ecru card stock. Such an invitation is enclosed in two envelopes — an inner one with just the guest’s name and an outer one bearing the guest’s name and address. 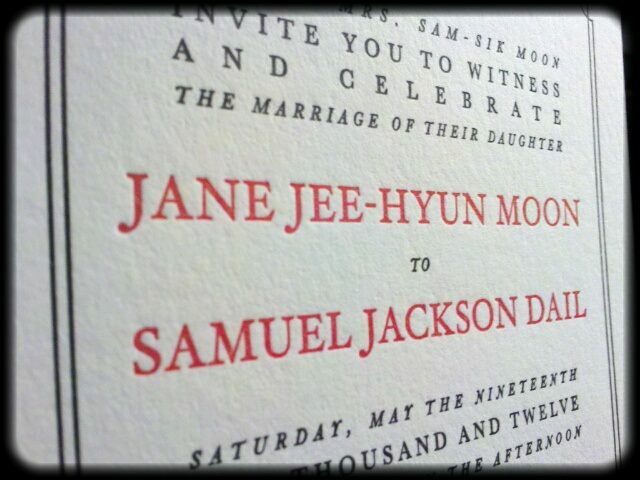 -Invitations are sent by the wedding host. -Children under the age of eighteen need not receive their own invitations; instead, their names should be included on the inner envelope only, under those of their parents. However, if you’re not using inner envelopes, the children’s names must be written on the outer envelope so the parents know they’re invited. 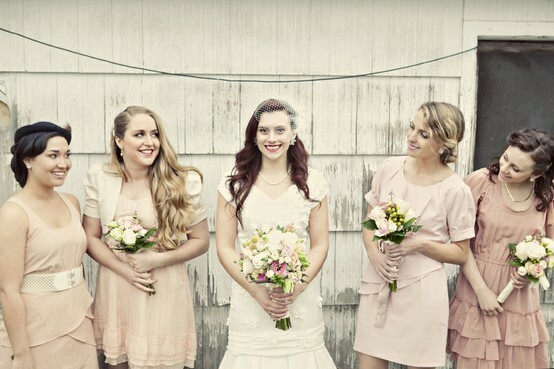 Children over the age of eighteen should receive a separate invitation. 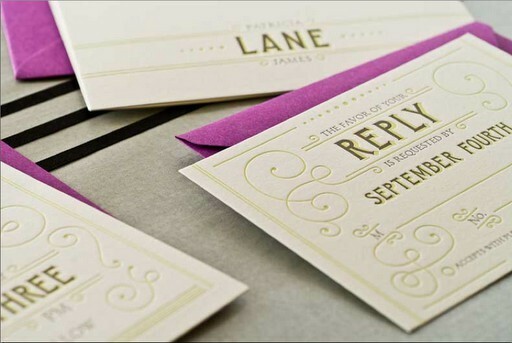 -If you’ll be inviting a friend or family member to bring a date, but you don’t know the date’s name, address the outer envelope to the main invitee only; on the inner envelope include the words “and Guest” after your friend’s or relative’s name. 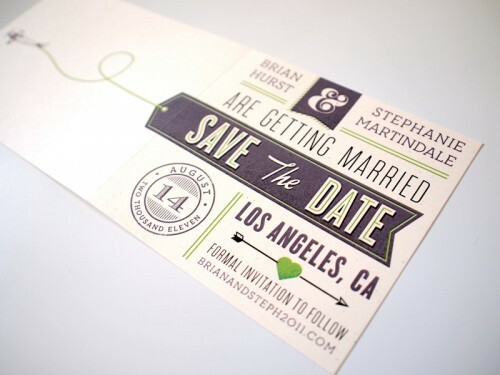 If you know the date’s name and the person is a significant other living at a separate location, it’s best to find out his/hers address and that person an invitation directly. 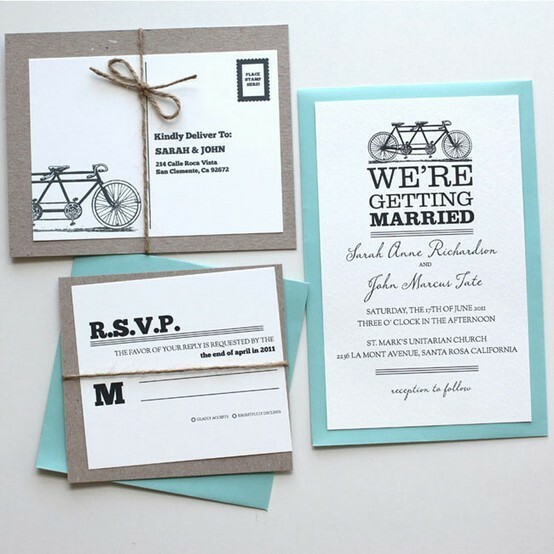 If the two are living together, only one invitation is necessary; in this case you’ll want to list both of their names on the outer envelope. 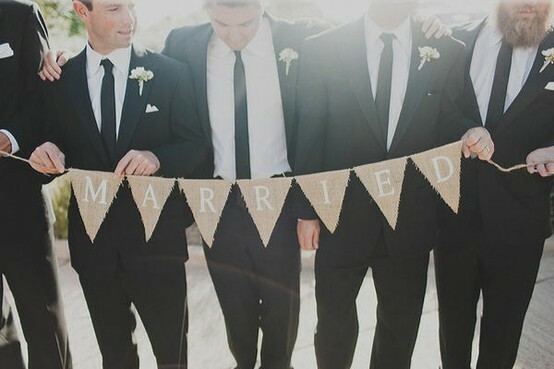 -According to the rules of etiquette, a joint monogram should not be used before marriage. 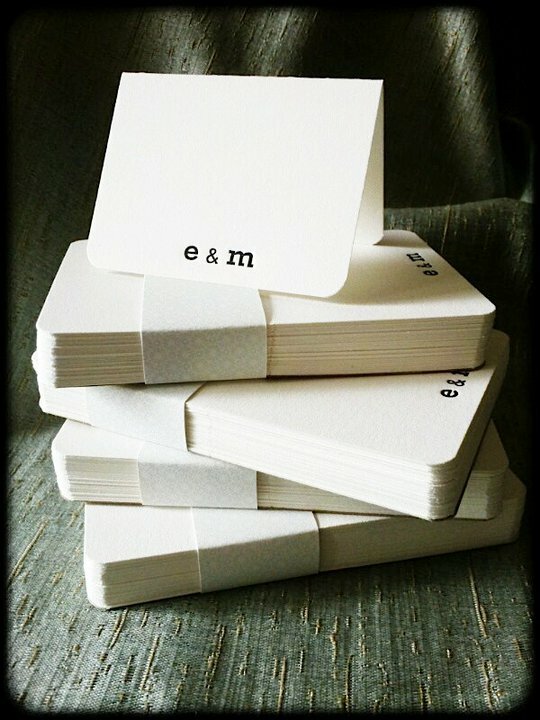 If you want to incorporate a monogram into your stationery, know that anything sent out before the wedding should have both of your individual monograms of your names. (I think this is a rather old rule and not too many people do it anymore, but it’s kind of interesting.) 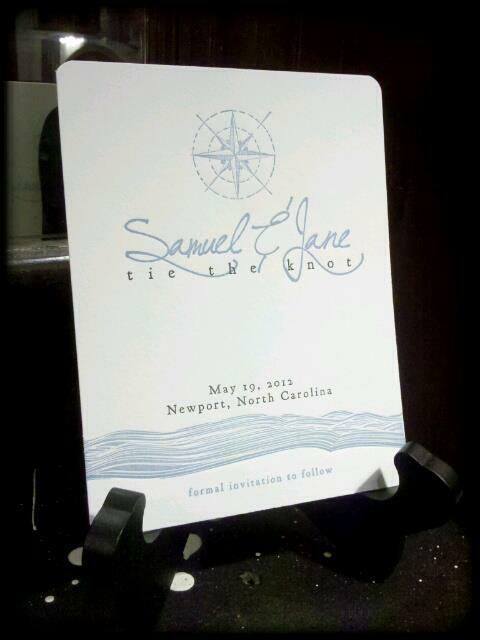 For printed materials that will be in the hands of guests after the ceremony, such as menus, a joint monogram is perfectly acceptable. 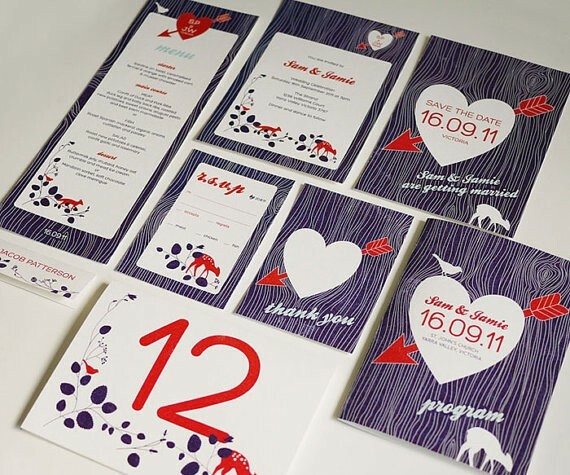 -To assemble the invitations, stack components one on top of the other; the invitation should be at the bottom, followed by the reception card (if the reception card information is not included on the main invitation), then the response card (if one is being included), and any other enclosures. If you’re including a response card, it should be nestled under the flap of the unsealed response envelope (not placed inside the envelope); the response envelope should be situated face down, while the response card should be placed face up. 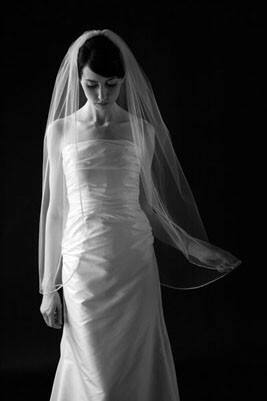 Sheets of tissue (traditionally used to decrease chanced that the ink would smudge) are not as common as they used to be, though some brides include them to be safe or to add a classic touch. If you’re using an inner envelope, all of the above contents should be tucked inside it with their type facing up toward the opening of the envelope (except for the response envelope, which is placed face down), and it should be left unsealed; for vertically oriented components, the left side should be placed against the bottom of the envelope; the bottom of horizontally oriented components should be placed against the bottom of the envelope. 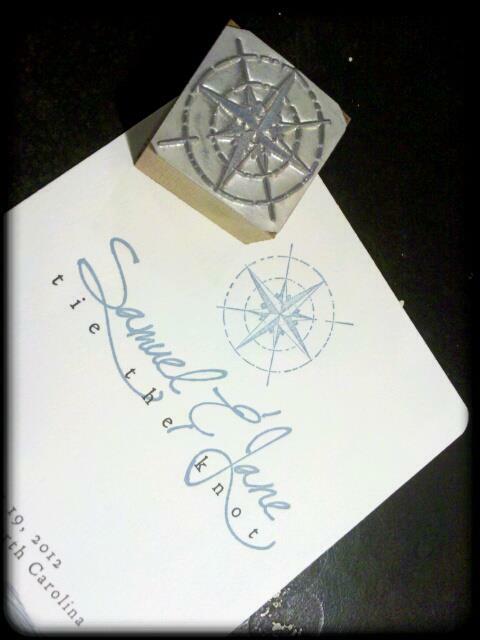 The inner envelope should then be placed inside the outer envelope, with the guest’s name facing up toward the opening. A reputable stationer should be able to answer any questions you have regarding the assembly processes. Confused yet? 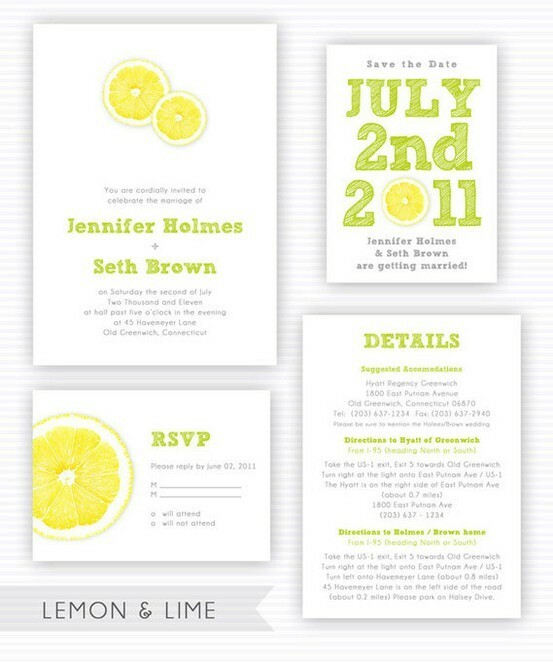 There are so many different ways to do invitations now-a-days. All of these papers are necessary but can be condensed in a simpler, more eco-friendly way. It’s completely up to you how you want to get the information out there, but above is tradition. 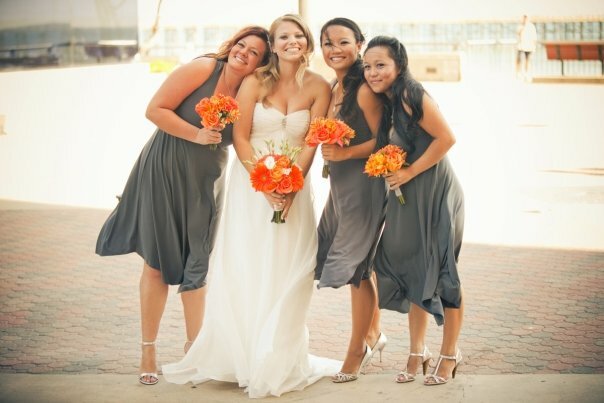 It is the basic formula for your wedding invitations and you can reduce or add from there. Hope this helps! Want to really impress your guests? 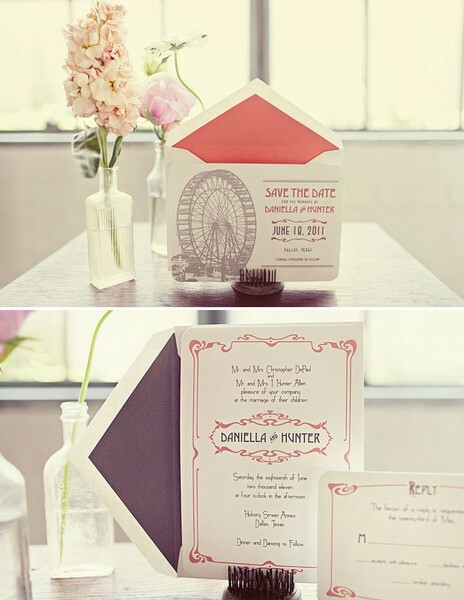 Get letter-pressed invitations! 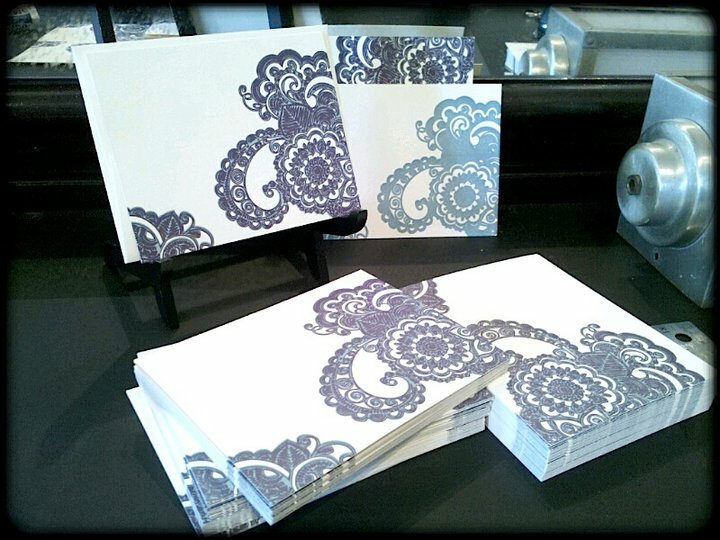 The Courtesy Press based out of Pollocksville, NC, can handle all of your stationary needs. 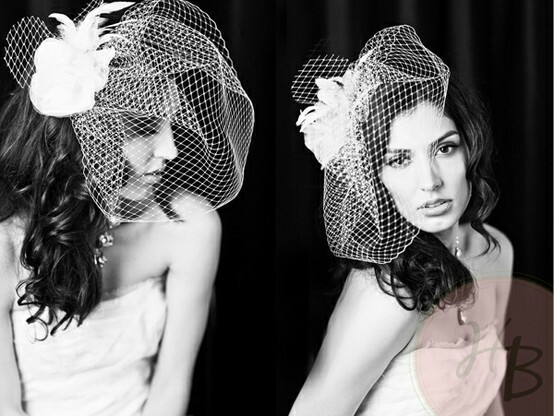 The photos speak for themselves…Take a look. 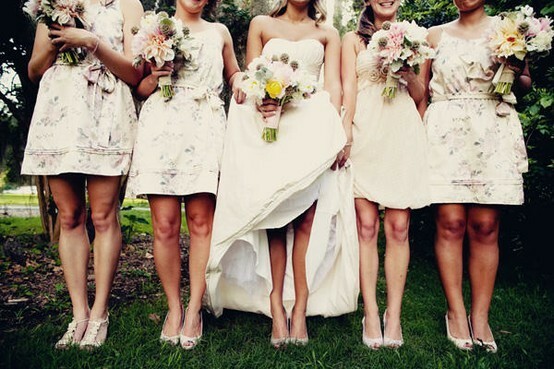 Who will stand up by your side as you say “I do”? 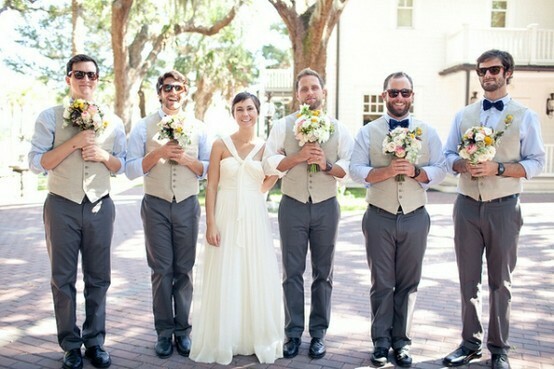 The attendants you have for your wedding are a reflection of your true self. You have a difficult time with authority, but fortunately you also have a good business sense. The only person you work for should be yourself. YOu are strong-willed and ruled by logic and reason rather than emotions. You will be very successful, but do not forget to tap into your softer side every now and again. You are ambitious and have the ability to persevere through difficult times. You will continue to strive to do your best, and it will pay off in spades. You are energetic and enthusiastic, and always up for an adventure. You have a star quality about you that draws people to you. You are very loyal to your friends, and usually receive the same in return. 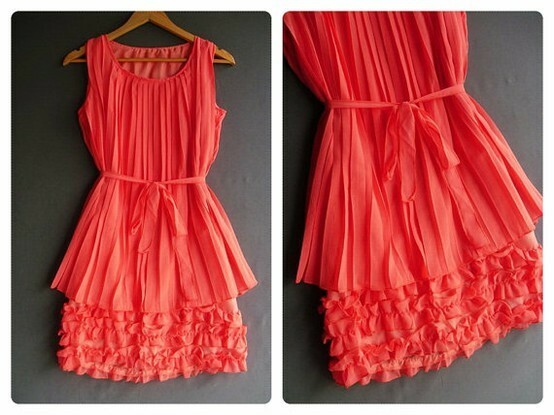 You tend not to show your true feelings unless they are happy ones. Work on opening up and saying what you mean. You will reap the benefits.